Portland Farmers Market is managed and operated by a dedicated, year-round staff. Full-time staff members are assisted by a seasonal crew and wonderful volunteers. Amber was born and raised in the Willamette Valley and loves what this part of the world has to offer for food and play. As operations director she oversees our five markets. 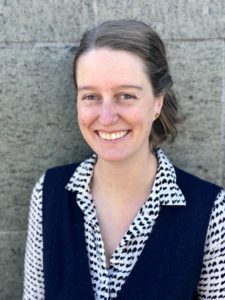 Amber began working with Portland Farmers Market in 2007 while attending graduate school at Portland State University, earning a Masters in Public Administration in 2009. In addition to her passion for well curated markets and rain gear, she is particularly proud of PFM’s progress in reducing waste and creating inclusive community gathering spaces for Portland residents and visitors. Lisa grew up amongst the redwoods in Humboldt County, California. She relocated to Santa Cruz where she earned her degree in ecology and evolution. Lisa became immensely involved with her campus environmental organizations, being a sustainability events coordinator, working for their seed library and teaching a class on sustainable agriculture. She fell in love with learning about local food systems and food access in the community. Interning at the Santa Cruz farmers market, Lisa worked on educational programs targeting children and nutrition. 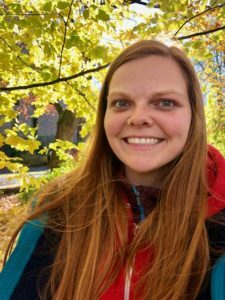 After graduating, she moved back up to the Pacific Northwest to continue her work with local agriculture. When she isn’t at a market, you’ll find Lisa biking around town, making soup or dancing at funk night. David grew up in a rural part of NW New Jersey where he developed an appreciation for open space and farming. He spent a few years working on diversified vegetable farms, both as a grower and as an educator. This helped him to understand the difficulties associated with food production, but the overwhelming joy that comes along with it. 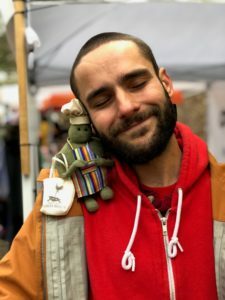 His love of agriculture pushed him to pursue a graduate degree in Agricultural Economics in 2014, which deepened his passion for local food systems and their impact on building community. In his free time, David loves chasing waterfalls, baking cookies, and fermenting anything that he feels isn’t cultured enough. Kelsey’s love for sustainable food was sparked by a single black cherry tomato she tasted while working on a small farm in rural Minnesota, and her life has never been the same. She has since worked and volunteered at various urban farms, been a garden educator in a half dozen schools across Chicago, and delved into conferences on natural farming and food justice in the US and India. Through that work, she has become passionate about increasing access to healthy produce and fostering a more equitable food system. She looks forward to continuing on Portland Farmers Markets’ legacy of supporting local farmers and Portlanders of all tastes and incomes. When not at a market, Kelsey is often hiking, indulging in a really good doughnut, or dancing. 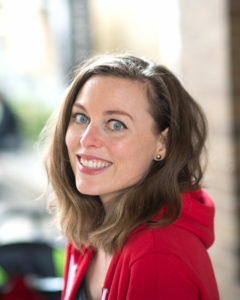 Martine joined the PFM staff in 2018. After two years as a regular volunteer at our Information booth and the Kids Cook at the Market program, she was hooked and determined to become a PFM lifer. Having worked for many years in the advertising world, Martine decided it was time to put away her pumps, trade them in for overalls, and use her skills toward something she truly cares about, food, farms, and Portland! All the planets aligned and PFM has provided her the perfect place to explore her favorite pass-times and passions. Friend-maker and foodie, lover of all things Portland, you can still find Martine at the PSU market, doing what she loves most, sharing her enthusiasm for the Portland Farmers Market, it’s mission and the city she feels so blessed to call home. 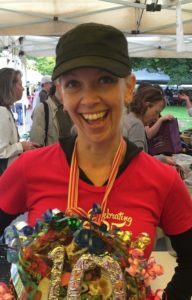 Heather joined Portland Farmers Market in 2017 to contribute to the community in a new way. 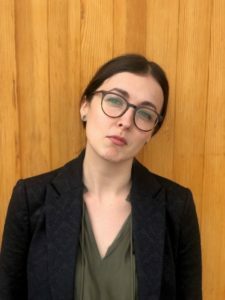 She brings with her 10 years’ experience working alongside underserved populations to bring stability, opportunity and inspiration to Portlanders. With a background in education and social services, Heather is proud to serve PFM’s mission to ensure that everyone has access to farm-fresh food. When not at market, Heather enjoys swimming, righteous sauna sessions and growing a single tomato plant each year, entirely for BLTs. Trudy is a life-long Oregonian, environmentalist and leader. She believes that eating healthy food changes people lives. Her professional career has been all about sustainability. She built her management skills in public transit and with environmental groups. At TriMet, Portland’s transit district, she held several positions over 16 years in areas such as transit planning, community relations, and marketing. Her favorite “claim to fame” is having been TriMet’s liaison with the community to assure that bikes were welcome on buses and trains. Her final years there were spent on the leadership team as Executive Director of Human Resources. In 1999 Trudy shifted her career to environmental non-profits starting as Development Director at Friends of Virgin Islands National Park on St. John. 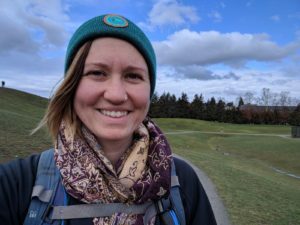 After returning to Portland in 2002, she joined EarthShare Oregon as Executive Director, where she led a federation of 70 conservation groups for the purpose of fundraising in 100 Oregon public agencies and businesses. Her Bachelor’s degree is in Geography from Portland State University. She got her Master’s in Business with focus on organization development from Marylhurst University. 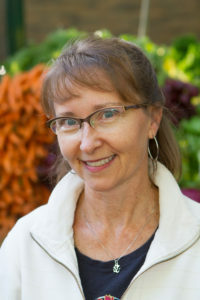 Trudy teaches yoga and is a certified nutrition therapy practitioner. Alodie grew up in North County San Diego and later moved to San Francisco for cooler weather and vibrant city life. After seven years she wanted a more “livable city” and Portland, on a cool, grey and misty spring day seemed like just the place. And while she still loves those cool, grey days she has a new appreciation for the sun. Alodie has been involved in accounting work for over 20 years, satisfying the organized and meticulous side of her personality. She became PFM’s bookkeeper in 2008, and has many avocations including: singing, dancing, making art, and cooking. She also studied culinary arts at Western Culinary Institute in 2006. Alodie developed a love for locally grown produce while assisting her mother with an organic garden and several fruit trees. Some of her favorite farmer’s market finds are Yak bones for a wonderful bone broth, any sheep’s cheese and cherries. Rachael moved around a lot growing up, which created a deep appreciation of community. She was drawn to Portland for the rain, moss, food, and the people. 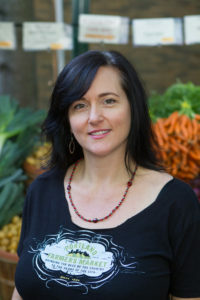 Combining her background in marketing, science, and photography, Rachael is thrilled to contribute to PFM’s mission of supporting local food producers and creating vibrant community gatherings. When not at market, Rachael enjoys eating the food her husband cooks and caring for her creatures including her plump baby and rescue pup. If you stop and chat with her, she’ll talk your ear off about how rats are the best pets ever.